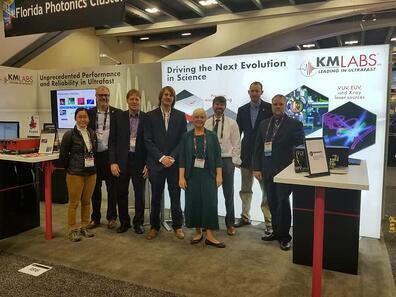 KMLabs exhibited at SPIE BIOS and Photonics West 2018 on January 27th-February 1st, in San Francisco, CA. We exhibited with a new booth design and our Chief Scientist, Sterling Backus was awarded the 2018 Harold E. Edgerton Award! KMLabs CEO, Henry Kapteyn is presenting at SPIE Advanced Lithography on March 1st, in San Jose, CA. He will be presenting: A tabletop coherent EUV source for commercial EUVL metrology and imaging applications.